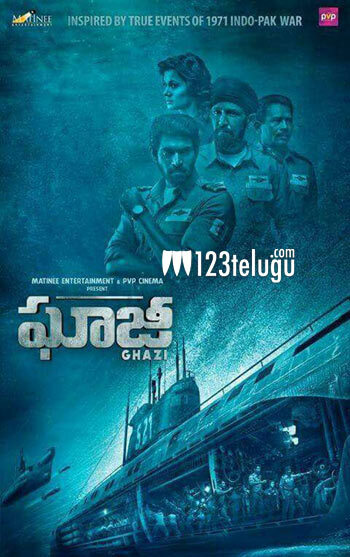 It is already reported that Rana Daggubatti will be seen as a naval officer in his upcoming flick Ghazi.This movie’s first look poster caught the audience’ attention big time. Now, the latest update is that the makers are releasing the trailer of this movie tomorrow. This is India’s first war-at-sea film which is produced by Matinee entertainment and PVP cinema.